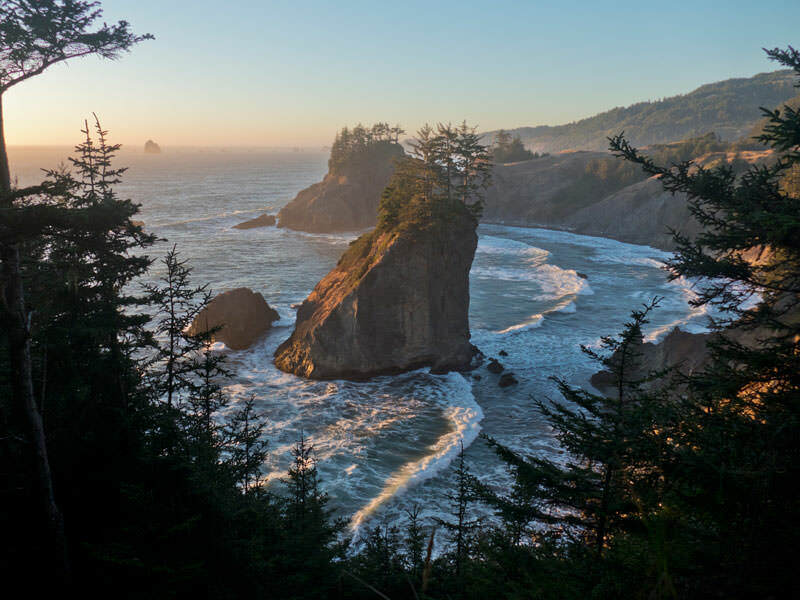 Take four days and you can enjoy some of the Oregon Coast’s most stunning viewpoints, walk beautiful beaches where fascinating rocky spires rise from the shoreline, visit two historic lighthouses and venture into the wilderness up one of America’s first designated Wild and Scenic Rivers. 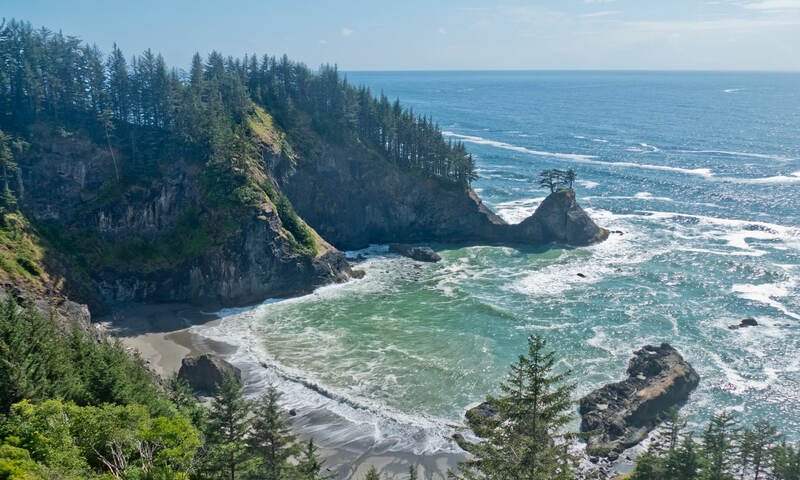 It takes less than two hours to drive Oregon’s Wild Rivers Coast between Bandon and Brookings, but this four-day tour will get you off the beaten path where you’ll encounter some of the best experiences on this remarkable stretch of coastline. With short distances between scenic attractions, I prefer to pick two or three towns for overnights, using short day trips to explore these amazing natural areas. Whether you are traveling north or south, these scenic locations powerfully showcase Oregon’s truly spectacular South Coast. 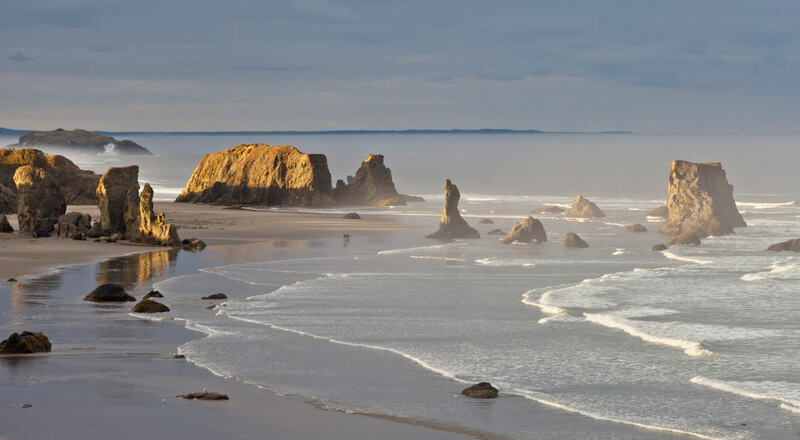 You can experience one of the most stunning and accessible beaches on all of the Oregon Coast in Bandon. 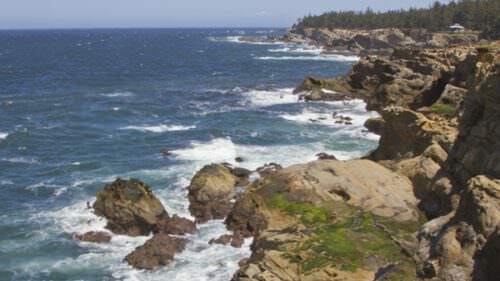 You’ll walk by soaring rocky spires protruding from the shoreline, large intertidal rock formations and gaze out at small offshore island rocks along the 1.5-mile stretch of beach south of the Coquille River. Many of the rock formations have names, like Face Rock, Howling Dog, Table Rock and Elephant Rock. Gaze at them from the right angle and you’ll see how they got their names, though you’ll need to brush up on local legends to understand some of the names. Two amazing viewpoints overlook this stretch of beach and are must stops: Coquille Point and the Face Rock State Scenic Viewpoint. Both offer beach access. Bandon’s Old Town is a delight to explore with its scenic port, riverfront boardwalk and excellent options for shopping and dining. You can see the Coquille River Lighthouse from Bandon’s riverfront or South Jetty Park, but you can also visit the lighthouse up close, about a 10-minute drive away in Bullards Beach State Park. Bandon is a world-class golf destination with Bandon Dunes Golf Resort located just north of town offering five unique courses that maximize the experience of stunning coastal landscapes. Golfers can also play the nearby 18-hole Bandon Crossings course for a more casual golfing experience. The Cape Blanco Lighthouse is about a 40-minute drive south of Bandon. Turning off Highway 101, a 5-mile drive leads to the westernmost point in Oregon, where the beautiful Cape Blanco Lighthouse stands in a commanding position with expansive coastal views. 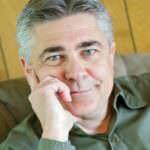 Lighthouse tours are offered, but you will want to confirm seasonal hours. Trails near the gate of the lighthouse road lead to the beach and across the bluff to Cape Blanco State Park. 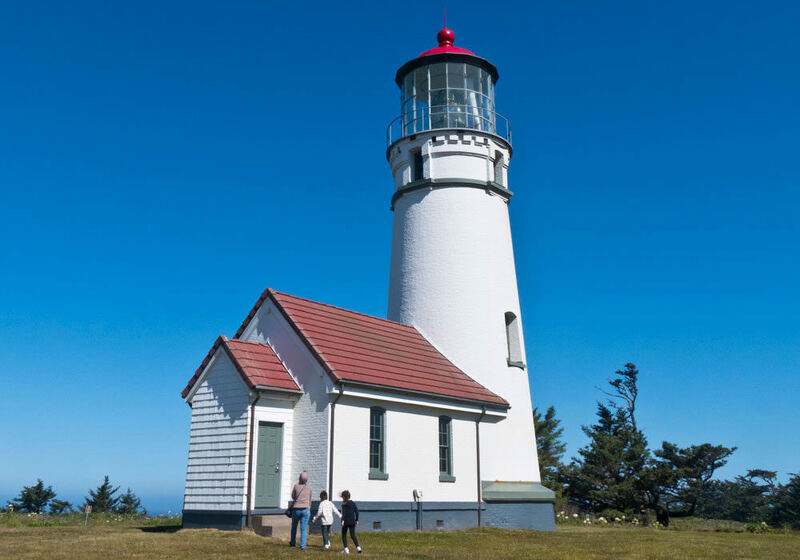 Save plenty of time for the town of Port Orford, a 20-minute drive from the Cape Blanco Lighthouse. 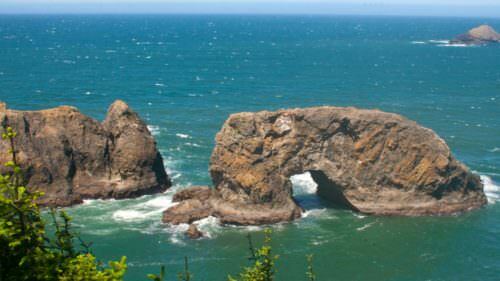 For scenic views or beach access, pull off at Battle Rock Park alongside the highway. Miles of beach arc to the south from this viewpoint with many offshore rocks including the Red Fish Rocks Marine Reserve, 4 miles away, and Humbug Mountain looming further still. Nearby, the town’s unique port is worth a visit. 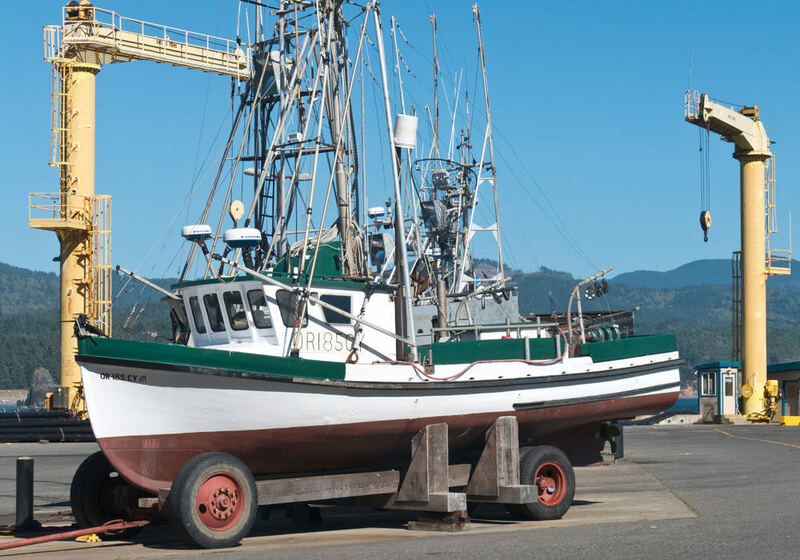 It’s one of the most unusual ports on the West Coast and home to a small fishing fleet. Protected by a natural headland, the port is actually built on the ocean. Boats are dropped into the ocean by a crane when setting off to fish and are lifted from the water upon their return. The boats rest on dollys while at the port and you can often watch the dolly dock in action when you visit the port. Whales often linger in the waters off the port, so keep your eye peeled for spouts when visiting. For more viewpoints or a short hike, drive up to Port Orford Heads State Park, home to a small museum housed in the historic building that served as the lifesaving station for this region. Soak up that unique history and you can walk the short trails leading to panoramic ocean views that once served as lookouts for the lifesaving station. From Port Orford, it’s about a 40-minute drive to Gold Beach, and it’s a spectacular one. A good portion of the highway south of Port Orford skirts the edge of the ocean and there are several roadside turnouts to pull off and enjoy the views. Don’t be alarmed to see a Tyrannosaurus Rex alongside the highway. You’ll pass Prehistoric Gardens on the drive, a classic roadside attraction with life-size replicas of dinosaurs. If you want beach time, Gold Beach has a lot of it, stretching out several miles from the Rogue River to Cape Sebastian looming to the south. 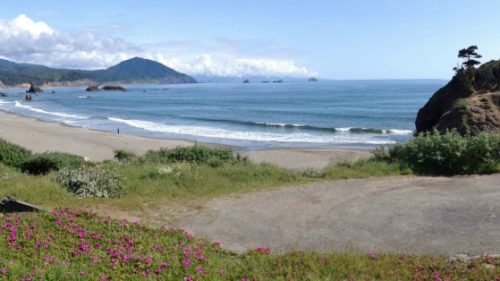 The most wild and secluded beaches are to the south of Gold Beach’s visitor center that offers parking and beach access. There are a few great spots for coastal sightseeing nearby. Just north of Gold Beach is the Otter Point State Recreation Area, where a short walk leads to bluff-top views along a unique stretch of coast with unusual sandstone rock formations. 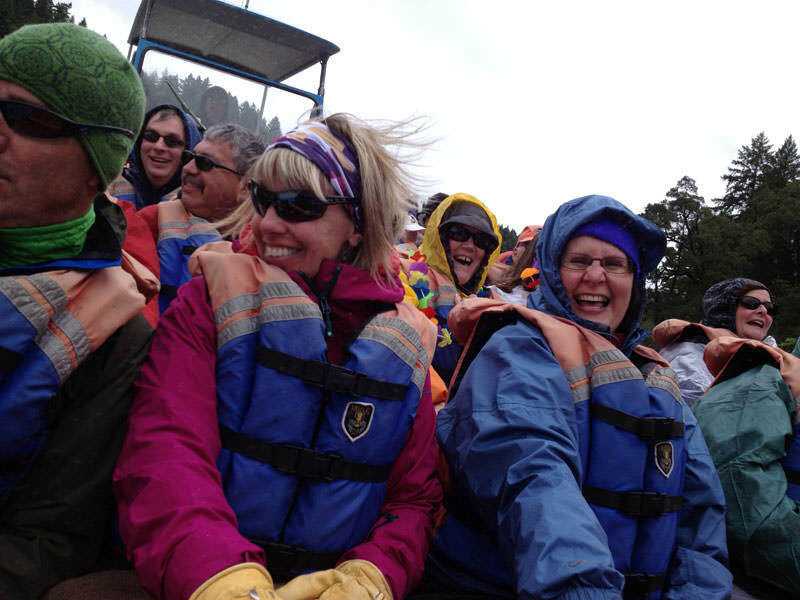 You’ll need to make decisions about your day in Gold Beach, since one of the city’s most popular experiences is the day-long guided jet boat tours up the Rogue River. The nationally designated Wild and Scenic River turns remote as the tour boats travel upriver into the wilderness. 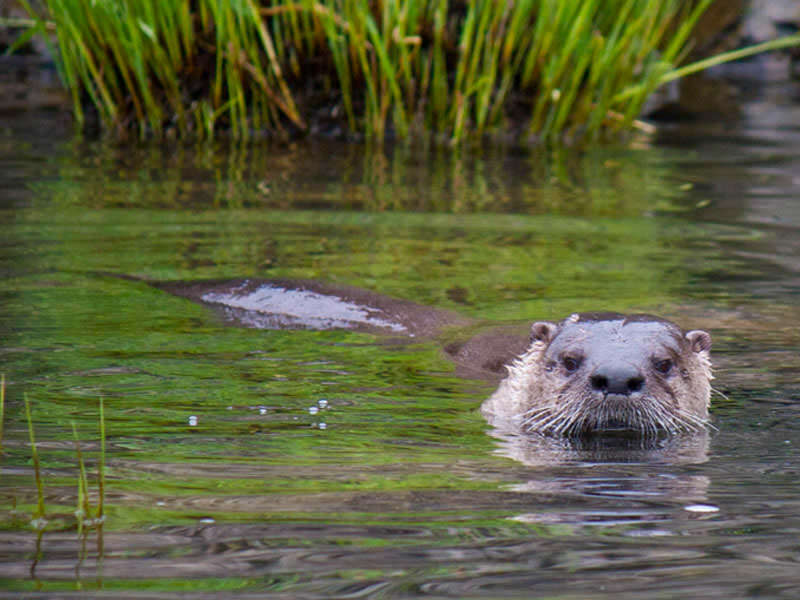 It’s a wildlife-studded tour mixed with a little adrenaline pumping fun as the jet boats maneuver the whitewater rapids through scenic canyons. 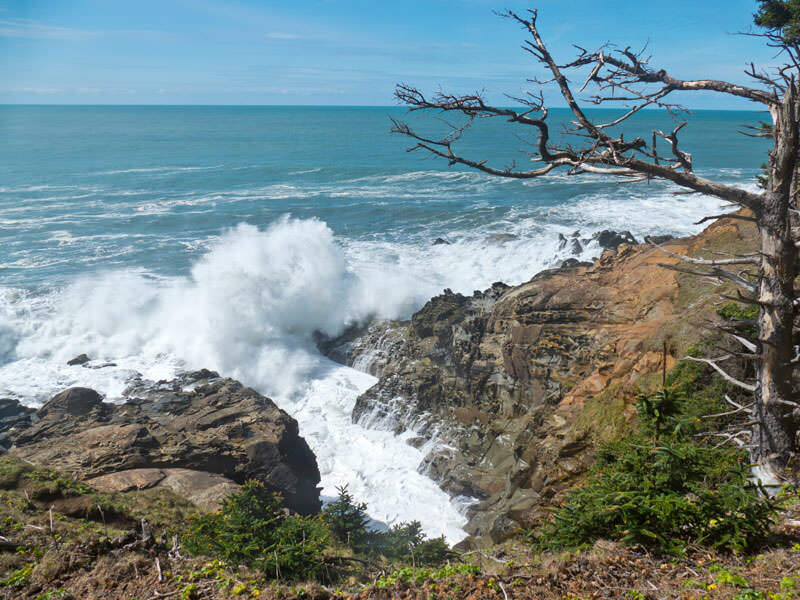 Between Gold Beach and Brookings, some of the Oregon Coast’s most scenic viewpoints overlook arched rock formations, secluded beaches and lush protected coves. This stretch of coast deserves a day of its own. 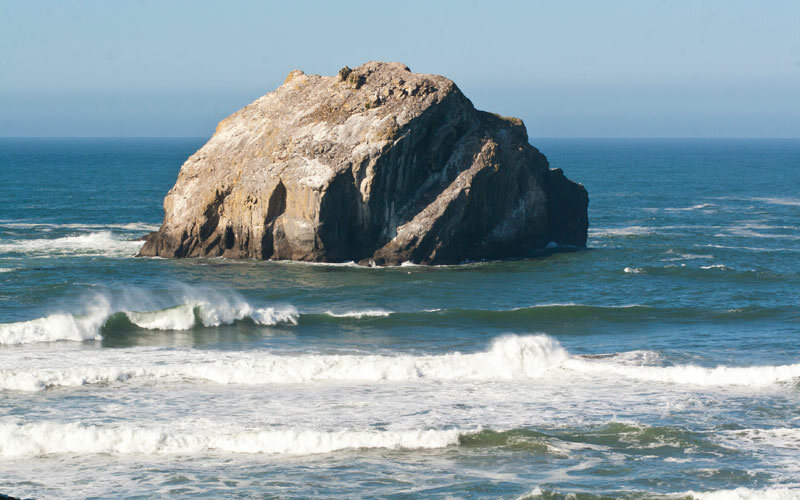 As you leave Gold Beach, you pass the Turtle Rock formation, then climb over Cape Sebastian that offers a great hike if you have the time, but is also worth the stop just to enjoy the viewpoints. As you drop down the south side of Cape Sebastian, highway-side turnouts offer views and access to a beautiful stretch of beach with scenic intertidal rocks and near shore sea stacks at Meyers Beach. 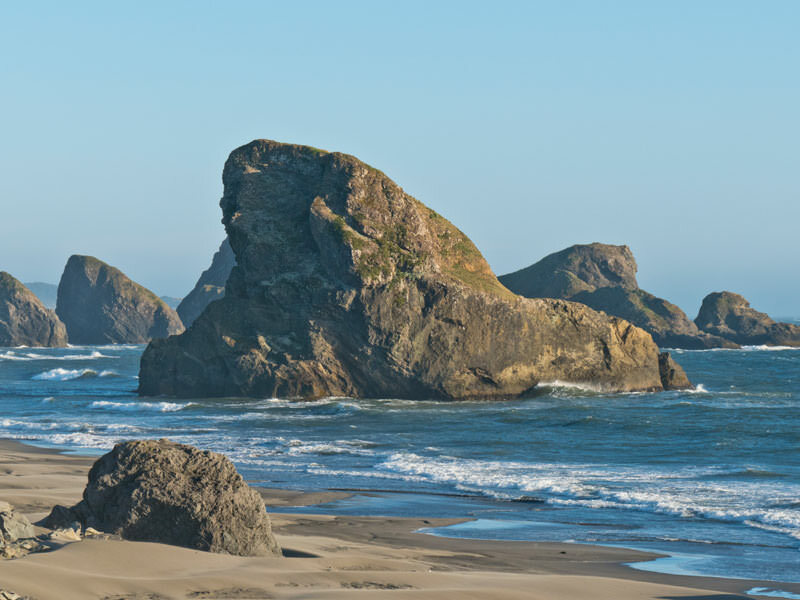 Continuing south, you enter the Samuel H. Boardman State Scenic Corridor, about a 12-mile stretch with viewpoints, beaches and short hiking options. The Arch Rock Picnic Area is a must-stop with a short walk leading to several great views including tiny islands topped with windswept trees and sheer rocky cliffs that plunge into the ocean. Natural Bridges is another easy stop. Just a few steps from the parking area is a wooden platform overlooking a secluded cove framed by arch rock formations connected to the shoreline. The best short walk is the easy trail to fairy-tale like Thunder Rock Cove. You can turn this into a short hike by continuing north to Secret Beach before looping back to the trailhead on the highway. Whaleshead Beach is another easy scenic stop. Offshore rock formations, including the namesake Whaleshead Island, make this good for a short stop to take in the scenery or a beach walk. The often-secluded beach can be explored stretching out to the south. As you approach Brookings, there are several other potential stops for viewpoints, short hikes or beach access. 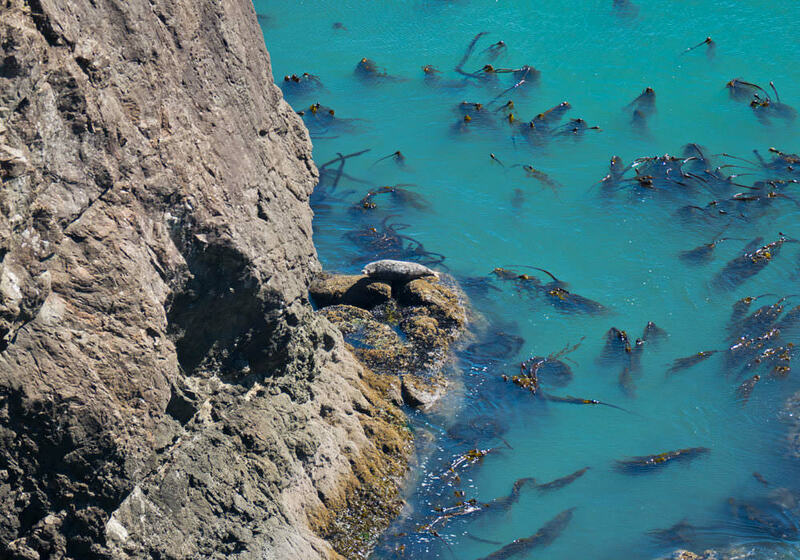 But you may want to save time for Harris Beach State Park in the north end of Brookings. It offers easy access to beaches with interesting rock formations and great intertidal areas to explore if you time your visit for low tide.